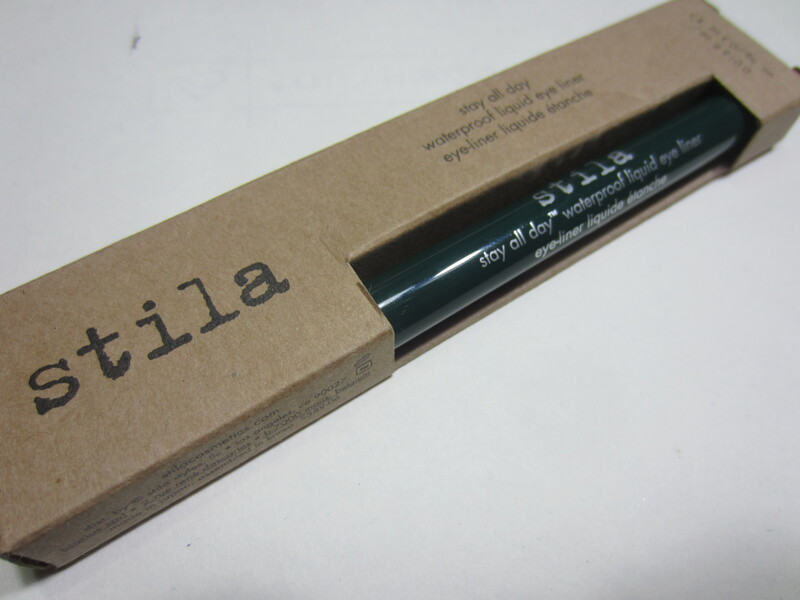 Stila Stay All Day Waterproof Liquid Liner in Moss! I have been a liquid liner junkie since I was 12 years old. I vividly remember reading an article about liquid liner and how liquid liner was the best for a precise line. I bought my first liquid liner from Prestige Cosmetics and never looked back. My signature look has been a black liquid liner cat eye ever since! So when I heard from one of my favorite YouTubers that the Stila Stay All Day Waterproof Liquid Liner was the best liquid liner on the market, of course I had to have it! And because I have more than my fair share of black, I figured I should try out another color. I picked Moss because … well … its green! And I have a long time love affair with anything green. 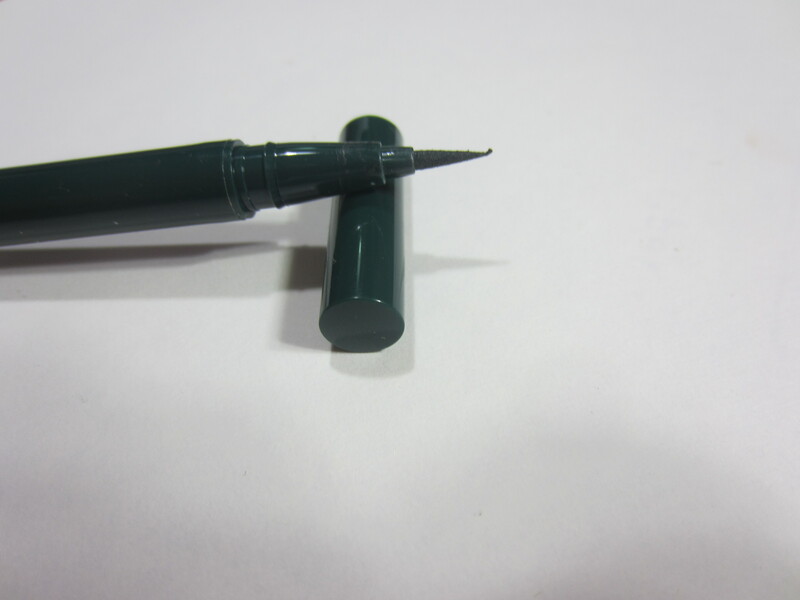 This is a typical felt tip, pen style liquid liner. But the tip is much skinnier than other felt tip liners I’ve tried. Truth be told, I really dislike this type of liquid liners. I think brush tip liners are typically more wet, which helps get in between every single lash and create a nice opaque line. You have to shake this product prior to use. And you have to apply a little bit of pressure to get the product to come out. What I like: The color! I absolutely love the dark green color. But it isn’t so dark that it looks like black when you wear it with black mascara. I can’t even begin to tell you how much I love this color! I also love that this thing doesn’t move! When they say waterproof, they mean it! What I don’t like: I feel bad, but this list might be a long one. This product is rather dry, meaning that it drags across my lash line. I also have to push down a little hard to get an opaque color in one stroke. If I don’t apply too much pressure, I have to go over the same spot a couple of times. I find that the easiest way to apply this product is by doing the short stroke method, almost like dabbing it across my lash line. That takes more time and sometimes is annoying when I miss spots. I also hate when the felt tip gets that little ball at the end, which you can see starting to form in the picture above. I end up pulling it off and then wasting more product. This is also rather expensive, and there are better products at the drugstore. Overall, I’m disappointed. The only thing that keeps me from throwing it away is the color, and the money that I spent. However, I do want to put a BIG DISCLAIMER: I think this would be PERFECT for someone who is new to liquid liner, because its easy to control and dries really quickly. So if you’re new to liquid liner, don’t let my review stop you from exploring this product, but if you’re experienced with liquid liner then I’d so go for a different one! What do you guys think? What are your favorite liquid liners? 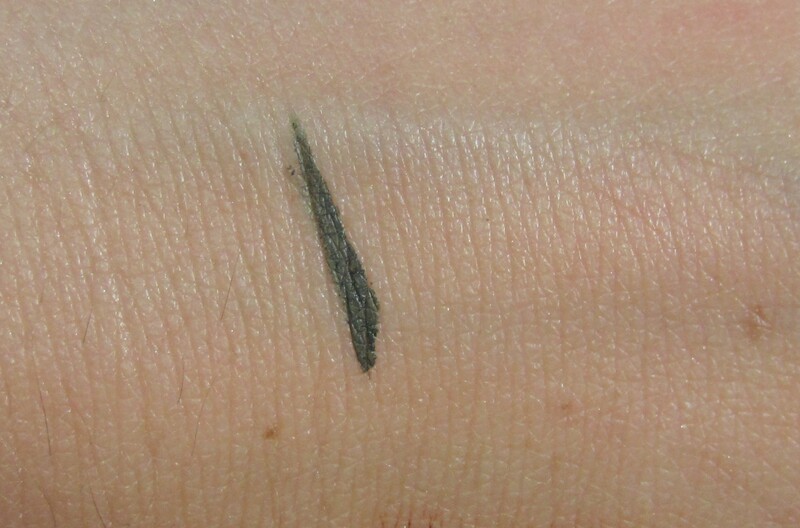 Nyx Slide on Eyeliner Pencil Review! 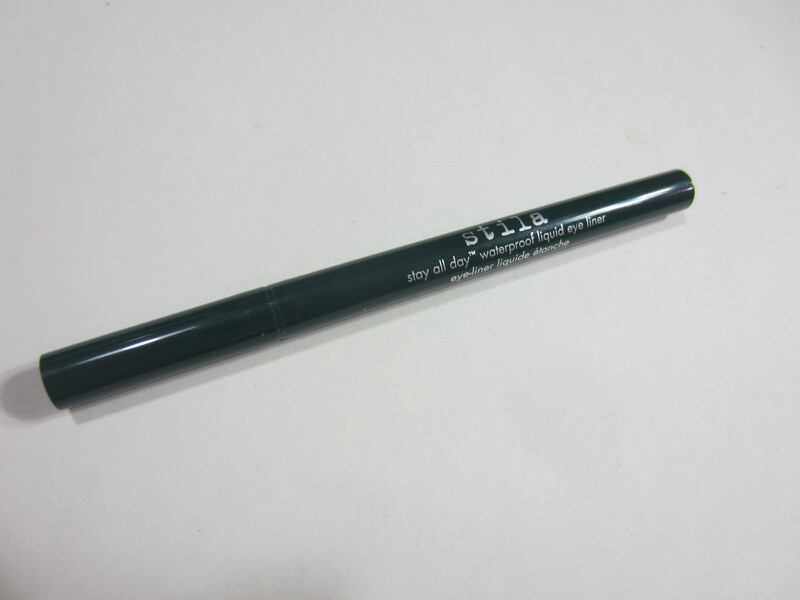 Nyx Retractable Eye Liner Review! I love Stila, it is my go to eyeliner! Great blog, I look forward to reading more from you! awww thanks so much! and thanks for commenting!